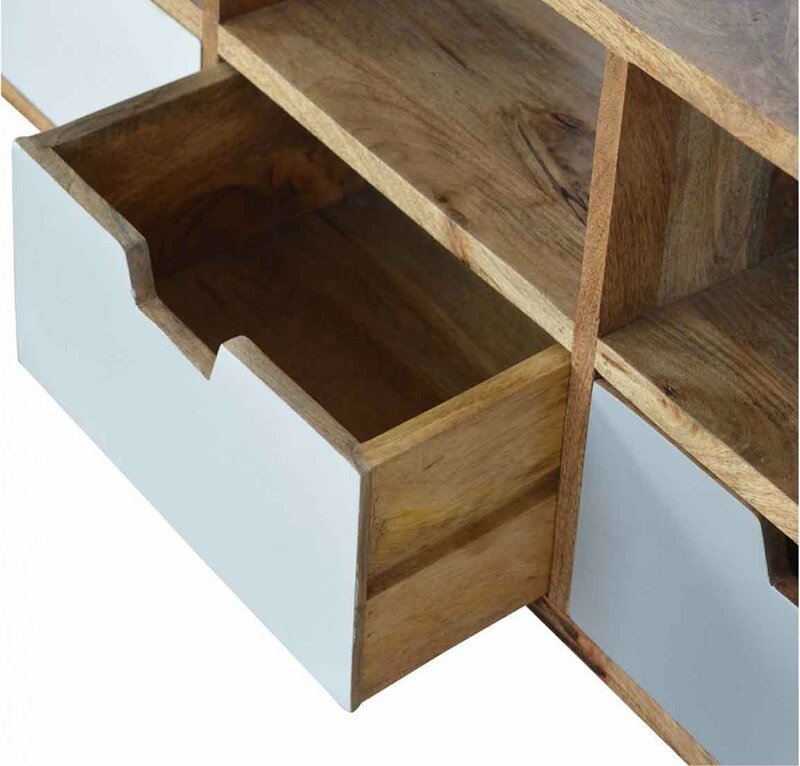 Our solid timber media unit is expertly constructed from 100% solid mango wood, and has a fine oak-ish finish. 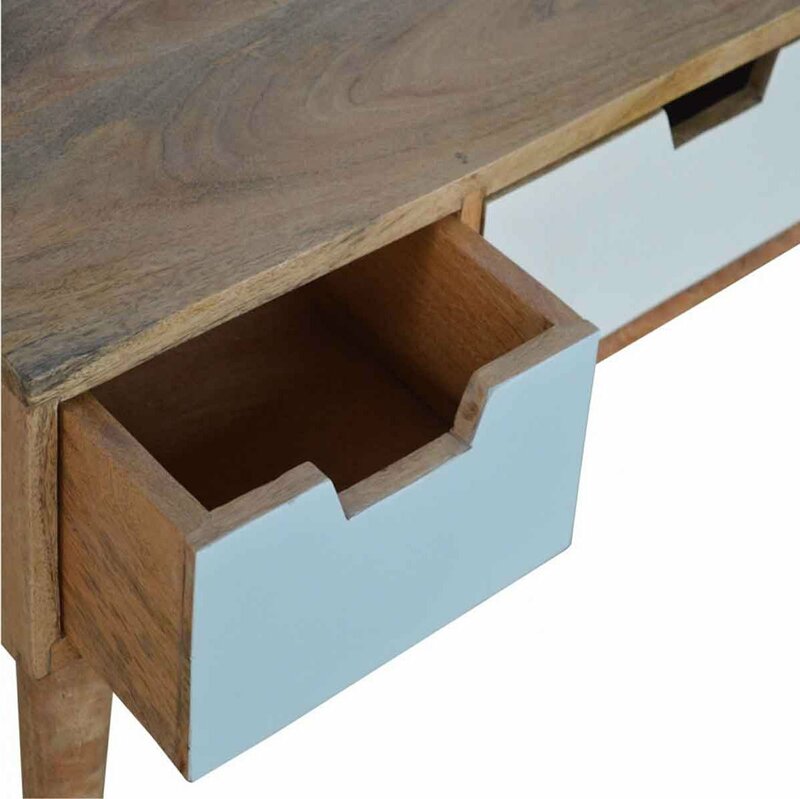 A beautiful design, featuring 3 grey hand painted cut out drawers and 3 backless shelves above to place things such as pictures frames, special ornaments or cable box. 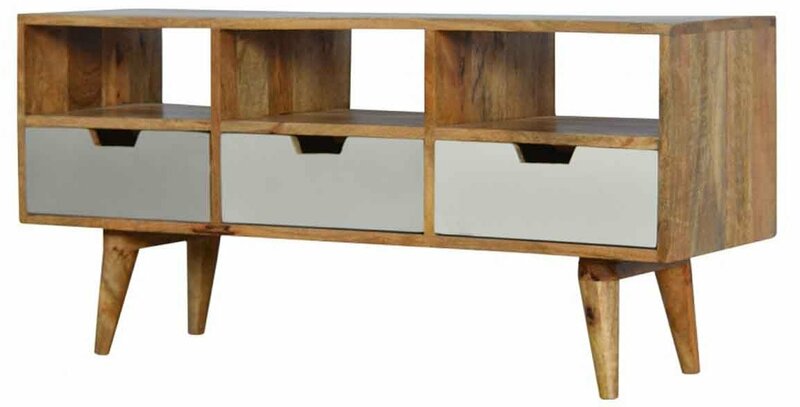 Also this media unit has a decent sized table top to place your TV and 4 Scandinavian styled legs.